Gotemba Premium Outlets is not far away from Peace Park. But it took us more than half an hour to reach. The reason: traffic jam. We were told that this happens mainly on weekends. Many people from Tokyo will just drive all the way to Gotemba to do their shopping there. 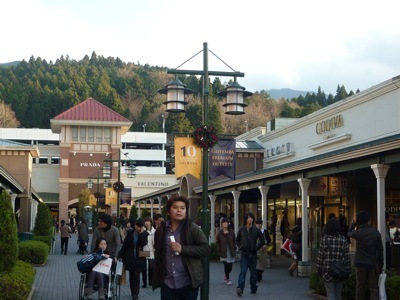 Gotemba Premium Outlets is one of the largest and most popular outlet shopping in Japan. It offers upscale shopping experience with a range of 200 international designer brands. Prices here are not exceptionally cheap but reasonable compared to other retail outlets. I bought a pair of Nike running shoes (¥5,985) here as I noticed the current pair are about to “burst.” We also bought a T-fal frying pan (¥2,700). Yes, I couldn’t believe it as we needed to carry it back on a plane. We left for Tokyo after shopping. It took about 2.5 hours to reach our hotel due to traffic jam. By the time we reached hotel, it was already 7pm. Though Tokyo has one of the highest population density in the world, the cleanliness of the metropolitan is maintained at an exceptional level. 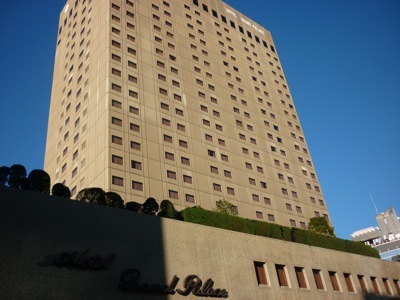 In Tokyo, we stayed at Hotel Grand Palace for a night. For dinner we had to pay for our own that night. We met up with my wife’s university friend who is a Japanese for dinner. With the help of tour guide, we managed to arrange for the dinner with him as my roamed cell phone could not be used to send text to him. Later I only came to know that in Japan we could only send text messages between users of the same telco. We had dinner at a restaurant near the hotel. The dinner was good and my wife’s friend picked up the bill. How nice! We chatted with the friend for a while at the hotel’s lobby after dinner.